Danica Patrick Flags features NASCAR Driver flags, Banners, and Pennants with Licensed Danica Patrick logos. 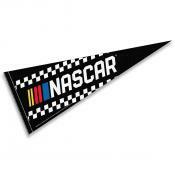 Below is our Danica Patrick Flag, pennant, banner, and decoration collection. Click on any Danica Patrick Flag image to find more information on sizes, flag construction, and logo designs.